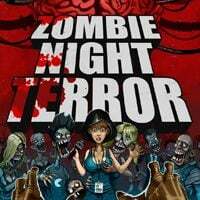 Zombie Night Terror is an old-school action game with elements of strategy, developed by French studio NoClip. Players become the brains of a zombie apocalypse of the purest form, and their task is to spread the epidemic across the whole world. Zombie Night Terror is an action game with strategic elements, in which we take control over hosts of thoughtless living corpses. The production is the debut of the independent French studio NoClip. The action of the game takes us to an unspecified city, where for unknown reasons people begin to turn into bloodthirsty zombies on a massive scale. Contrary to what one would expect, however, the player's goal is not to eliminate them, but to become the brain of all commotion and make the plague of living corpses spread all over the world. The only way to survive the inevitable apocalypse is to become a part of it. The mechanics of Zombie Night Terror gameplay is quite clearly inspired by the cult series of logical-arcade Lemmings, which celebrated its greatest triumphs in the first half of the 90s of the 20th century. While playing, we take control of a specific "army" of living corpses, and our main problem is the intelligence of our subordinates, or rather.... a complete lack of it! This is because zombies left to themselves are going to mindlessly wander around the area and fall into traps set by people. Our task is therefore to ensure that they emerge victoriously from the confrontation with the survivors fighting for their lives and lead to the spread of the epidemic throughout the world. To achieve this, a wide range of mutations will be useful, thanks to which zombies can perform simple orders and attack defenceless people in many different ways. We develop mutations gradually as we consume more and more portions of human DNA; interestingly, we can also combine them with each other and thus achieve different, original effects. In the game Zombie Night Terror awaits us forty different levels, during which we have to get through a location or arrange a slaughter in a stadium filled with agile and strong athletes. As the game progresses, when we are getting closer and closer to cutting out the trunk of the human race, its determination and self-preservation instinct become more and more important, so that the level of difficulty increases. Zombie Night Terror features an old-school, highly pixeled graphic design, shown in a classic side view. The whole work is realized almost exclusively in shades of black and white, coloured with intense red of gushing blood. The game is also enriched by a large dose of indiscriminate political and sexist humour.